Bangor Aurora invested in a cutting edge inflatable assault course for their main 50m swimming pool called 'Aqua Challenge' they wanted to create a vehicle that could inform the public of this new activity. 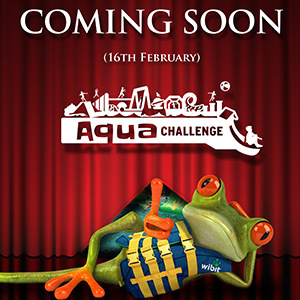 We created a 3D digital character called 'Freddie the Frog' who was the fun face of the Aqua Challenge. We then used Feddy to tell any of the promotional messages about the Aqua Challenge to the public in a quirky and fun way. 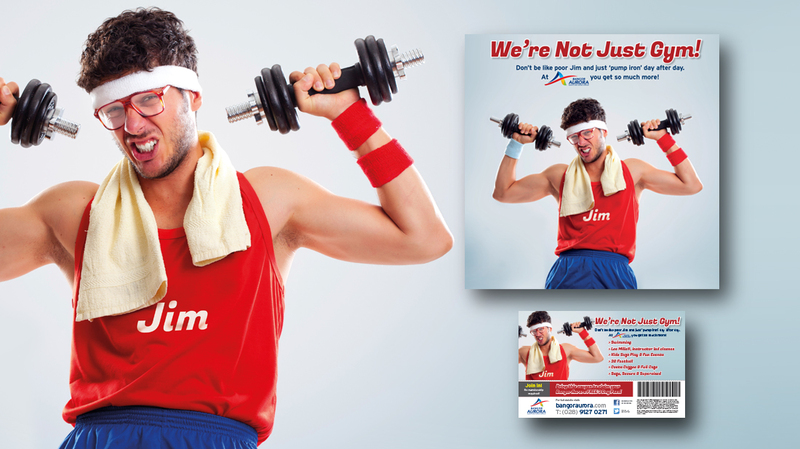 'We're not just gym!' 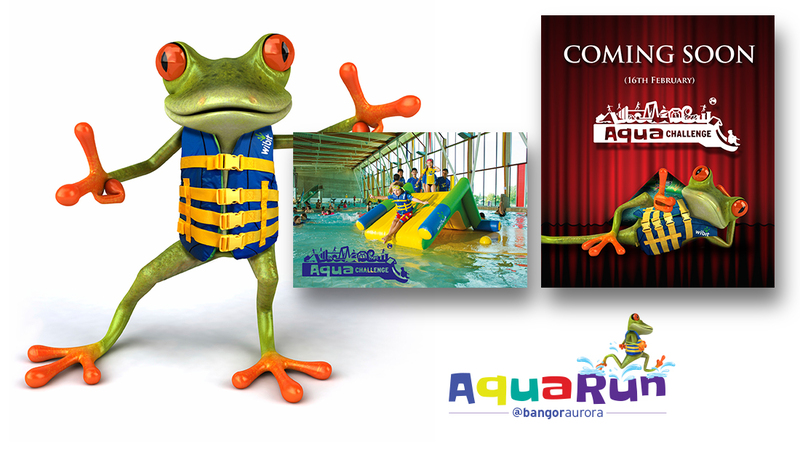 was a quirky online campaign to promote Bangor Aurora Sports Centre's comprehensive sporting and health activities using ambient and digital media. 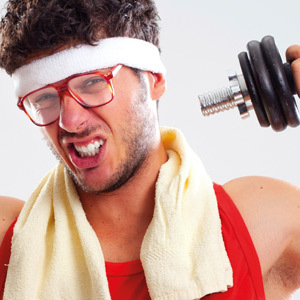 We created a funny and quirky campaign that de-mystified how to use the Centre's facilities to their optimum while breaking down the barriers that going to the gym was the only way to get fit at Bangor Aurora. 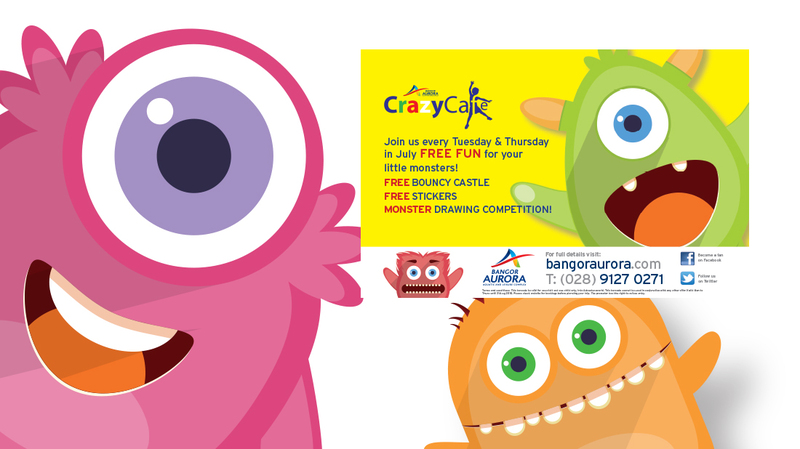 Crazy Café is an internal brand for the children's play area within Bangor Aurora's main concourse. 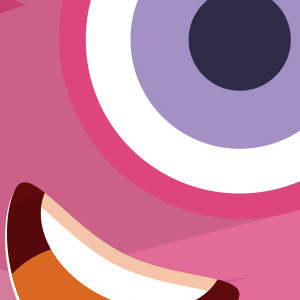 We were asked to come up with a digital campaign to promote the Crazy Café and so we created 'The little monsters group' these characters were used throughout the digital, social and traditional media channels to add life and create excitement and buy-in from both parents and children to the Crazy Café activities. Digital marketing is the future and an understanding of its potential and its pitfalls for a company is an imperative. We now spend on average 40% of our waking lives looking and interacting with digital technology. Power Advertising has an in-depth and comprehensive knowledge of how to make your digital fingerprint stand out from your competitors.